Asian American Students in Higher Education offers the first comprehensive analysis and synthesis of existing theory and research related to Asian American students’ experiences in postsecondary education. Providing practical and insightful recommendations, this sourcebook covers a range of topics including critical historical and demographic contexts, the complexity of Asian American student identities, and factors that facilitate and hinder Asian American students’ success in college. 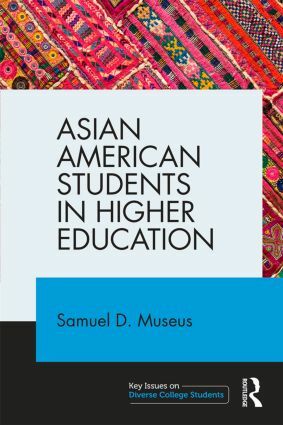 The time has come for institutions of higher education to develop more holistic and authentic understandings of this significant and rapidly growing population, and this volume will help educators acquire deeper and more intricate knowledge of Asian American college students’ experiences. Thisresource is vital for college educators interested in better serving Asian American students in their institutions.